Lobo is a mercernary/bounty hunter who is the last member of his race, the Czarnians. Well, he did have a helping hand in that by committing genocide on them. He also enjoys violence, intoxication, and long walks on the beach. Now we’ll get to play this anti-hero in Injustice: Gods Among Us. 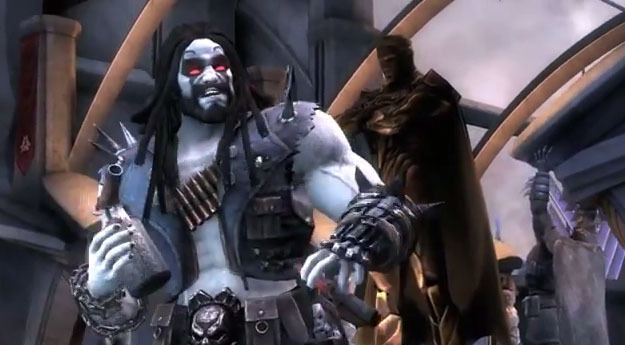 Check out the trailer below as Lobo faces against the Flashpoint version of Batman, who’s actually Bruce Wayne’s father, Thomas Wayne. Lobo will be one of four upcoming character DLCs. He’ll be available on May 7th.